When you’re shopping for something as important as a baby gate, you need to be sure it’s going to suit your home exactly. You don’t want to try and make your surroundings work for the gate, so it has to be perfect for more types of homes than just one. 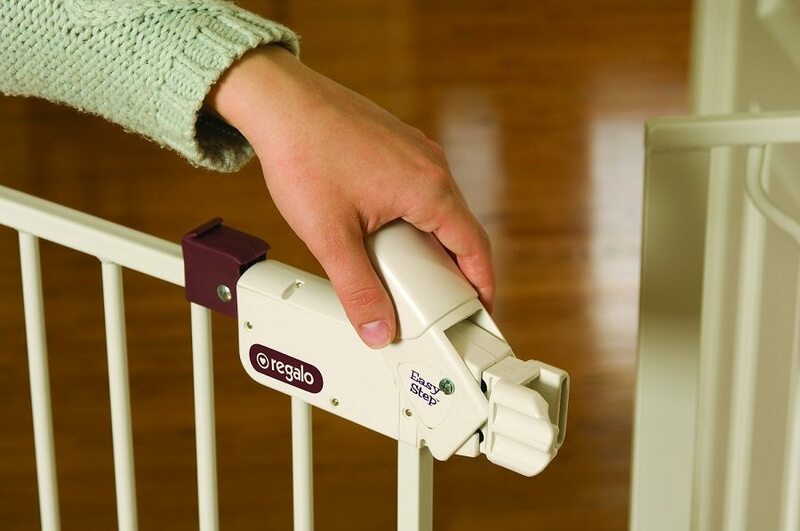 Regalo has created a baby gate with this logic in mind, and as well as being incredibly easy to set up it’s also one of the tallest on the market. We’re here to review what the Easy Step Baby Gate has to offer and its best and worst points for your home. Regalo is a brand committed to keeping your baby safe and happy, and that’s exactly the type of brand you want making your baby gate. Within their range of standard sized gates, they also offer the Easy Step Extra Tall Baby Gate for homes that need a little more coverage. The most obvious advantage to this gate is its height as many homes have probably tried other shorter variations and had issues. No child will be able to climb over it at 41 inches and it’ll also keep pets out, so if you have a dog that likes to jump over the gate from time to time this won’t be a problem any more. There’s a pretty good lock on this gate and it’ll keep babies and children out, but it can even be hard for some adults to use. According to the reviews, you won’t be able to get it undone with just one hand so carrying groceries as you try to open it will be near impossible. While it does the job of keeping the little ones out, it’s locked a little more securely than others. Amazon is the best place to buy the Regalo Extra Tall Easy Step Gate due to their current discount on the price. You’ll be able to get the gate and everything included to set it up for around $45 which is $10 off the usual price. Amazon also offers free postage when you spend more than $45 and this gate qualifies. To get it express you can spend a little extra or you’ll automatically have it arrive in 48 hours if you’re a member of Amazon Prime. When it comes to the safety of your family, you need a versatile gate like the Regalo Extra Tall Easy Step Gate to provide you with extra protection. 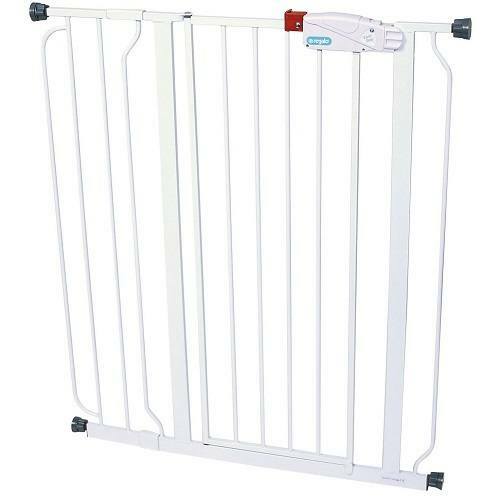 This easy to use and durable gate will keep everyone out, and it’ll give you the peace of mind you need as a parent. Click on the button below to get your Regalo Easy Step Gate today.